An external DAC is a separate component not built into a player that has many popular uses for audiophiles, gamers and computer users. The most common use of an external DAC is to upgrade the DACs in an existing CD or DVD player. Digital technology is changing constantly and even a five-year-old CD or DVD player has DACs that have probably seen improvements since that time. Adding an external DAC upgrades the player without replacing it, extending its useful life. Other uses for an external DAC include upgrading the sound of the music stored on a PC or Mac computer or to enhance the sound quality of video games. In short, it's an effective way to upgrade the sound quality of many audio sources without replacing them. The main benefit of a good external DAC is sound quality. 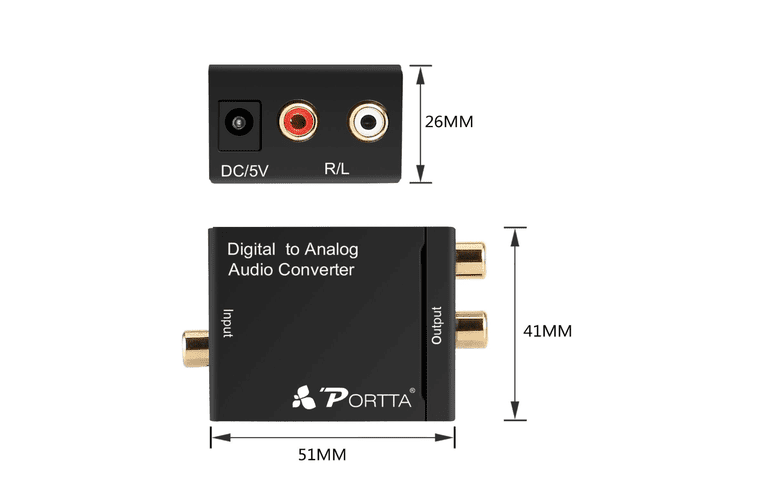 The audio quality of a digital to analog conversion is highly dependent upon bit rate, sampling frequency, digital filters, and other electronic processes. A specialized DAC is designed for the best audio performance. DACs are also improved year over year and older DACs, such as those found in older CD and DVD players, do not perform as well as newer models. Computer audio also benefits from an external DAC because the DACs built into computers are generally not the best quality. Upsampling: A typical CD disc contains digital music stored at 16-bits of resolution and sampled at 44.1 kHz. 16 bit/44.1 kHz is known as Redbook CD, an industry standard. Many external DACs have upsampling, a feature that improves audio quality. For example, the resolution is 24-bit and sampling is performed at 192 kHz. The sound quality differences include wider frequency response and higher dynamic range. Jitter Reduction: Jitter is a digital event that affects the timing of the digital pulses. It is sometimes described as 'shaky pulses' and if controlled or eliminated can improve sound quality. Most DACs employ some form of jitter reduction. Multiple Inputs: Some external DACs have a single digital input and others have dual inputs for the more than one component. The advantage of dual inputs is to connect two sources, such as a CD player and PC at the same time. USB Inputs: Many external DACs include a USB input to allow the audio output of a computer to connect to a DAC. An external DAC enhances the sound quality of computer audio sources.